Your metal cages hanging from the PVC framework don't appear to have anything solid on the bottom...just the metal cage. We have always been told that is not good and the rabbits need something smooth to get their feet off the narrow wire floor. Can you explain why we have been told this? It appears there must be opinions at play here. Thanks. Yes, there are most definitely some opinions at play. In the vast majority of cases, wire cage floors are not only safe for the rabbits but dramatically improve their health by breaking the life cycles of many parasites and diseases. If the urine and feces drop through the cage to the ground, it greatly reduces a rabbit's exposure to both bacteria and other parasites such as coccidiosis, which is a major killer of rabbits where there are no wire floors. A word to the wise - use 14 gauge 1/2" x 1" wire when you can - it will last longer, sag less, and those who use it (I can't get it where I live) say it is easier on the rabbits' feet than the standard 16 gauge wire. Despite the value of a wire floor, some rabbits still do best with at least some hard surfaces to rest on. These are the very heavy breeds like Flemish Giants or Giant Chinchillas. Rex rabbits, they say, are also more prone to sore hocks. My rex rabbits, however, have been bred for (among other things) very heavy pelts and foot pads. Their hocks don't tend to break down. The hocks of mini-rex rabbits may need to be watched. While this is a small breed, their coats (in my opinion!) haven't been as dense as a standard rex coat. The coats on the mini rex have been definitely improving, I'm told, which would mean any extra danger of sore hocks in this breed should be next to zero. **Using 1/2" x 1/2" hardware cloth. The wire is too fine and can harm the rabbit's feet. **Poorly configured hindquarters in a rabbit. This is a rabbit with hip joints that angle the hind legs of the rabbit so they rest close together on the floor. This results in a poor distribution of the rabbit's weight and an incorrect angle of the feet themselves, which can intensify the pressure on a smaller area of the hocks no matter what kind of floor it lives on. **Fine bones, as in, not dense and heavy. A heavy bone results in a wider foot, which supports the rabbit better. A fine bone structure can result in narrow feet and less foot surface with which to carry the rabbit's weight. Again, this rabbit might be destined to sore hocks no matter what surface it lives on. **Obese rabbits carry more overall weight on their feet, and might be at risk for developing sore hocks regardless of the surface it lives on. IF a rabbit's health or conditioning begins to break down, an early warning sign is the state of the rabbit's hocks. A rabbit whose hocks are always furred and healthy might quickly develop sores when its conditioning tanks, say, due to undiagnosed parasites, a snuffles flare up, or even old age. The problem is not the cage wire, the problem is the health status. A sick rabbit might develop sore hocks no matter the precautions you take to avoid it. 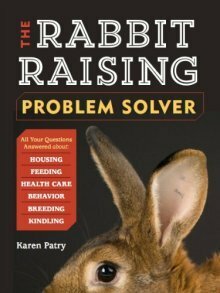 Some of the opinions stem from relatively harmless assumptions or fears, but mostly, the animal rights gang has put forth a whole package of intentional misinformation designed first to make it difficult to keep rabbits, and lastly, to eliminate pet ownership (and all animal uses) altogether. Just so you know, the House Rabbit Society is hand-in-glove with the whole animal rights movement.